Hey guys! 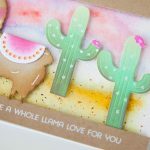 It’s Richard Garay here with you today sharing a fun video tutorial showcasing a few different stamps, dies and embellishments from my Celebra’tions collection! I hope this video inspires you to use your dies in different ways and have fun! Visit www.richardgaray.com for more ideas and inspiration. 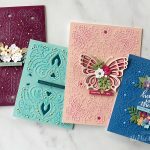 Richard has enjoyed a career in the papercrafting industry that has spanned nearly two decades. 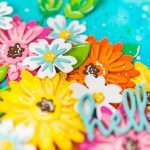 He started as a Marriage & Family Therapist (MFT) and it was his passion for people and the art of creative therapy that introduced him to rubber stamping. Richard, Thank you so much for that simple and really nice card. I’ve been making cards for years starting with cheap construction paper folded in half and embellishments cut from old magazines. I have moved up since then, but still look for inspiration. That was a nice little spurt of inspiration.